The bride and groom in this image were photographed in Sam Smith Park in Etobicoke, Ontario. 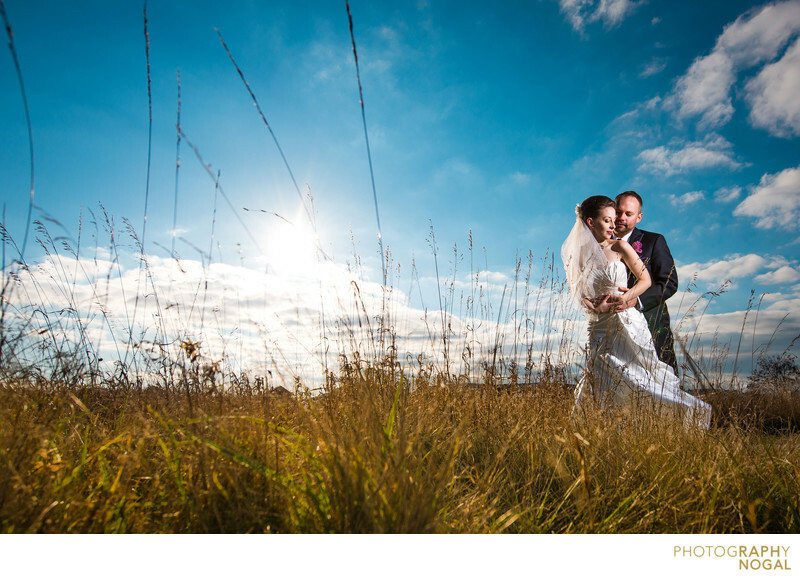 I love the crisp, eye-catching results we get from outdoor shoots, so I positioned the couple sharing a special moment amongst the grass and against a sunny, midday sky. The green and blues added an artistic element, while the clouds bring a sense of movement and the couple were lit using off-camera flash, held by my assistant Oliver at camera right. This photo was taken with a Nikon D750 DSLR at ISO 200, f8 aperture, 1/4000th shutter speed with a Nikon Nikkor 14-24mm f2.8 wide zoom lens, at 18mm focal length.